The Wireless USB promoter group has recently announced the development of the new Wireless USB specification version 1.1 based on current Wireless USB version 1.0. The group which consists of seven multinational companies such as Intel, HP, LSI, NEC, Microsoft, NXP Semiconductors and Samsung Electronics has been working in defining and enhancing the new standard despite the current version 1.0 is almost perfect for the wireless world with USB interface. 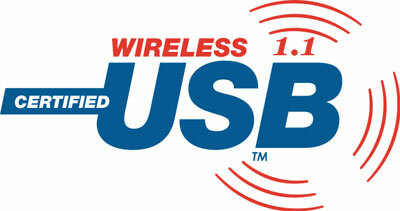 There are few advantages of the proposed version over Wireless USB version 1.0. First and most notable one is it is able to boost up the current speed from 480Mbps to 1Gbps. The Gigabit rate is almost impossible to be beaten by any other existing standards except optical fiber PON (Passive Optical Network) at this moment. Besides, the new standard will take care of additional frequency band that span over 6GHz in which version 1.0 only supports 3-4GHz. That is not all, it also enhances the security features which is important especially in wireless world. Its one touch action simplifies the association with a NFC (Near Field Communication) for faster pairing and connectivity. Even with all these great features in place, it is said to be more power efficient that is capable to prolong battery life. The specification is expected to be released by year 2008. However, the end product may take some times before being mass produced and ready for commercial market.